Vehicle registration renewals are a real hassle for everyone and Marylanders can possibly relate to that. From waiting in long lines to filling out forms, Marylanders are advised to plan ahead of time to avoid delays and confusion in this area. For that reason, let us show you 5 different ways to renew your car registration in MD, giving you the opportunity to pick what works best for you. There’s a possibility that you may end up opting for online renewals because it’s fast and easy to use, but it is always beneficial to stay informed about this particular procedure. At the same time, let us remind you that Maryland requires locals to renew their registration every 1 or 2 years. The MVA will send you a registration renewal notice 60 days prior to the expiration date, so keep an eye on your mail box. If you haven’t received your notice yet, contact the MVA right away as you may need to update your address. * You’ll find a table with more information about registration renewal fees in Maryland at the bottom of the page. Nobody likes reading about registration renewals. The less time you spend on this procedure, the better! eTags, though, understands that you cannot disrupt your busy schedule with tasks that should be handled from home or work. That’s the reason why eTags offers an online service that helps you renew your registration in the most convenient way. Since registration renewals are boring, why wouldn’t you use technology to help you complete your obligation with the MVA? Did we mention that out portal is user and mobile-friendly? Now this method is the most direct and conventional way of renewing your tags which many must already be familiar with. As you will receive a renewal notice by mail, everything is pretty much straight forward. 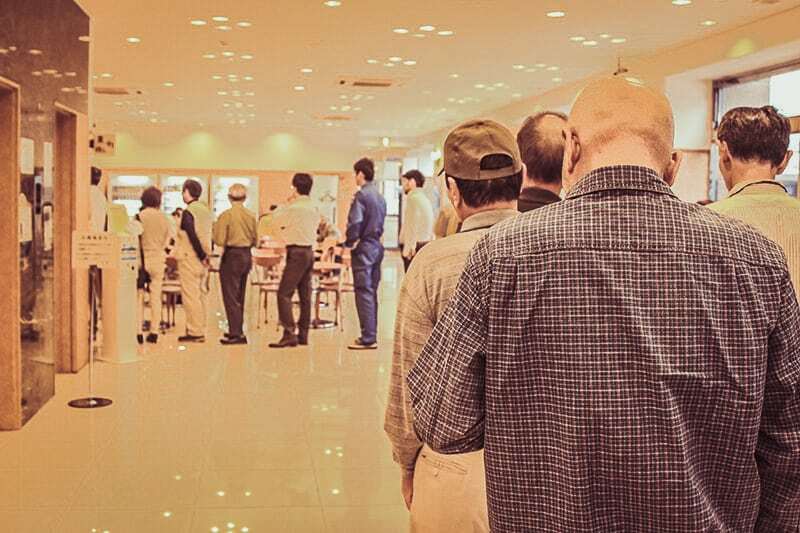 Note that in-person visits can be a real hassle as you will need to get there on time and wait in line, which is the reason why you are strongly advised to plan your visit ahead. If you book an appointment with the MVA, you could make things move faster but it all depends on the number of visitors at the end. However, you can find a kiosk at every MVA agency which still makes it a hassle to get there when you are busy at work or home. The MVA also offers Marylanders the chance of renewing their registration over the phone. Hopefully, you don’t spend too much time keeping on hold. This is another conventional method which make keep you away from the MVA but not from the post office. Submit all your documents along with the service fees (check or money order) in the given envelope. While you have the ability to mail all your documents together, you may have to wait few days to complete the task. Not to mention that it can get longer if you fail to follow the instructions specified on the renewal notice. How much does it cost renew your registration in Maryland? In Maryland, your registration renewal fees varies depending on the weight and type of your vehicle. Now what’s the most convenience choice for you? Just because the MVA requires you to renew your registration on time doesn’t mean you are forced to go through a real hassle. eTags, on the other hand, offers you the opportunity of renewing their registration without having to unnecessary trips and other hassles that can disrupt your day. Think about it.